Dr. Kazmer is a top-rated podiatrist in the Chicago area, with practices in Chicago, Elgin, and Barrington, IL. 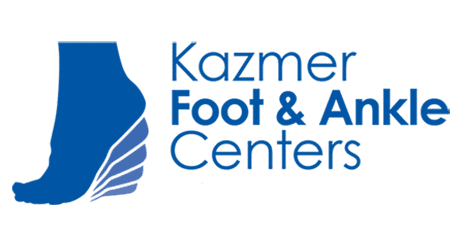 At the Kazmer Foot & Ankle Centers, he provides the best treatment options developed to relieve the painful symptoms of bunions and help restore the normal shape and function of the affected joint. Bunions are hard, bony lumps or projections that form at the base of the big toe. Without proper treatment, a bunion can grow large enough to eventually move the joint out of alignment, resulting in significant pain when wearing shoes. If the bunion continues to develop without treatment, the toe may begin to cross over neighboring toes, making it difficult to wear shoes or to perform normal activities like walking without feeling pain. As inflammation continues in the joint, the joint surfaces will eventually become damaged, making it much more likely arthritis will develop. Several factors can contribute to the development of bunions, including injury, arthritis and other joint or bone diseases, deformities of the foot, problems with gait and even an inherited foot shape. Some studies have indicated very pointy shoes with a tight toe box may cause or at least exacerbate bunions. High heels can also contribute to bunion formation or symptoms by forcing the toes downward into a confined area. Sometimes, mild bunions or bunions in their early stages of development can resolve on their own by switching to roomier footwear that allows extra space for the toes. Custom orthotics can help support the toe in its proper position while providing padding to help reduce pressure and pain in the joint. Gentle stretching exercises can also help the joint stay flexible while reducing the risk of developing arthritis. Special splints may also improve the position of the toe joint to encourage healing. Sometimes, these conservative approaches are ineffective in coaxing the joint back into a normal position. In those cases, surgery may be recommended to help reposition the joint and return the toe to a normal position. Screws or pins may be used to hold the toe in place during recovery, and a cast may also need to be worn for the initial stages of healing.